It has become tradition to kick off our bike rides with a ride down Grapevine Canyon each November. This year, we’ll be altering the route just a little bit, starting off Wilson Road. We will ride down the breathtaking Grapevine Canyon and end with a cold beer at Tamarisk Grove Campground. *This ride will require a shuttle, so your patience and willingness to help is appreciated. *If you do not come prepared with the above listed items, we reserve the right to turn you away to preserve the safety and enjoyment of the rest of the group. About our Bike Rides Join us for a series of bicycle rides in Anza-Borrego Desert State Park this winter and spring with Jim Roller and Gary Haldeman. Participants provide their own bike, helmet and any other necessary equipment. Our partner Bike Borrego offers free half-day bike rentals for new members; limitations apply, please call the business for details. 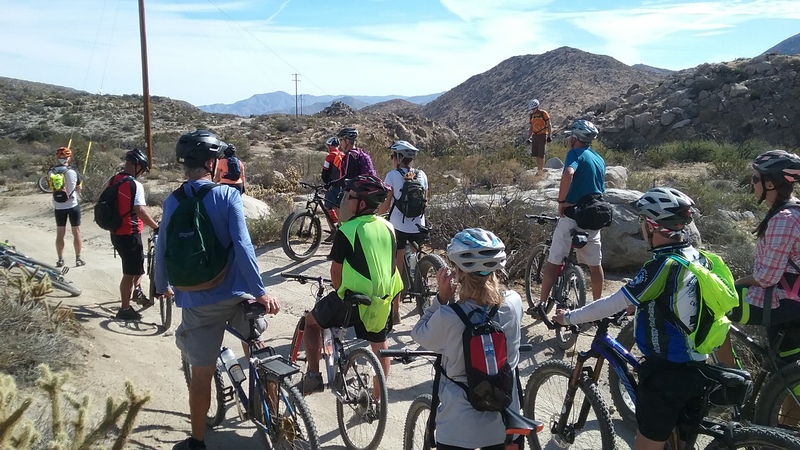 760-767-4255 Hikes & Hops and Bikes & Brews with Anza-Borrego Foundation Good scenery, good beer, good company Hikes & Hops and Bikes & Brews connect people with two things in common -- a love of Anza-Borrego and craft beer. Hikes & Hops is a social hike series in Anza-Borrego Desert State Park, with Bikes & Brews being the same but with mountain and road bike rides, and a series of craft brewery happy hours throughout Southern California. Join us for a hike and a beer, a bike and a brew or let us come to you for a brewery event! **This event includes the consumption of alcohol. Families with children are welcome if they can keep up with the group or be carried. ABF may request photo ID for any participant who looks 30 and under. Only those over the age of 21 will be allowed to participate in the “hops” portion of the event. Be responsible when drinking. Camping in Anza-Borrego Desert State Park is encouraged and there are several hotels in Borrego Springs. At the very least, please visit one of our Borrego Partner restaurants for a good meal before heading home.